Yesterday, Field Marshal Mohamed Hussein Tantawi, head of Egypt’s ruling junta, made a speech in response to fierce street protests all over the country. “The army is ready to go back to barracks immediately if the people wish that through a popular referendum, if need be,” the army chief said, in what seemed to be a rather unexpected proposal. This would be Egypt’s second referendum this year. A few weeks following the overthrow of Mubarak, Egyptians voted on a series of constitutional amendment which appear to have achieved very little in the way of democratic transition. 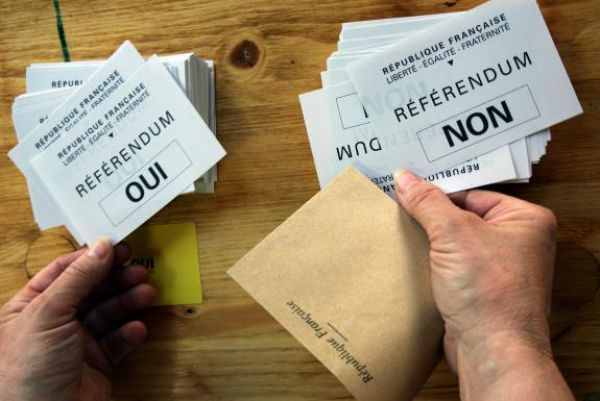 The truth is referendums (referenda), which are also known as plebiscites, have very serious disadvantages and require the presence of certain conditions to avoid their manipulation. It is, after all, no coincidence that Mubarak was re-elected by majority votes in a referendum for four successive terms (in 1987, 1993, and 1999). Referendums have been touted as form of “direct democracy”, permitting mass public involvement in public policy making. It gives the general public the opportunity to vote on specific policy issues such as constitutional laws. Basically, the public vote automatically becomes law. It is however, very important that the initiative to hold a referendum should not rest solely in the hands of the government. The public themselves must have the right to both call a referendum and exercise control over its content to avoid its manipulation. A referendum weakens the power of parliament. Even in countries where they are only consultative and reconciled with the concept of parliamentary sovereignty and do not require parliament to enact them. Many parliamentary representatives will find their hands tied as it becomes very difficult to ignore the result of a public vote. We’ve already seen that in the post-Mubarak referendum. The general public may be unable to understand the nuances and complexities of the issues which are the subject of a referendum. This doesn’t only apply to inexperienced democracies such as Egypt. In 2000, the outcome of a referendum in Denmark regarding the country’s entry into the single European currency was determined less by economic arguments and more by arguments related to erosion of national identity and independence. In the post-Mubarak referendum regarding constitutional amendments, many suspect the outcome was determined by fear for the Islamic identity of the state as determined by article two in Egypt’s constitution. It is noteworthy that article two itself was not included in the proposed amendments, highlighting how easy it is to manipulate the electorate on complex issues. In contrast a representative democracy provides an extra layer of protection against this kind of manipulation as it involves elected members of parliament debating and voting on a law before enacting it. The government with its unlimited resources, media outlets has an unfair advantage when voicing its case to the electorate. Additionally, it is able to use these resources to favor a certain outcome through its manipulation of public perception. Political issues may be resolved by inducing mass hysteria rather than calm reflection. The public may vote for reduced liberties in favor of stability, for example, if they perceive the country is running into chaos. The motives underlying the referendum may not be progressive. Dictators have used referendums instead of representative institutions such as parliament, asserting these institutions are meaningless since the public are not directly consulted over policy making. We’ve already seen Mubarak’s successive use of referendums to ensure reelection and to undermine the constitution. In Germany, the use of referendums by the Nazi government has resulted in the 1949 West German Constitution which in concert with the Bundestag, Germany’s parliament, have effectively banned their future use at the national level in Germany forever! The referendum is the primary tool that facilitates a tyranny of the majority. Minority interests are sacrificed in favor of mob rule. Another way in which referendums can be manipulated is by requiring a threshold turnout. Some countries, not Egypt, require that turnout should reach a certain figure for the outcome to be enacted. This has the disadvantage of preventing the minority from ever being able to exert control on the political agenda. You can’t own a copy of Mein Kampf either. Some of the laws bought out after the war in Germany relating to Nazism are paranoid in the extreme and in my opinion counter-productive. Conversely, many Nazis kept their jobs if they kept their heads down, leading in no small part to Baader-Meinhof. Hello again! Yes, I understand and I’ve outlined very clearly why referendums are dangerous. Again an extreme example for a country that had to go through an extremely dangerous period in history. But you are right some of these laws which are guilt laden would seem ridiculous to any outsider.